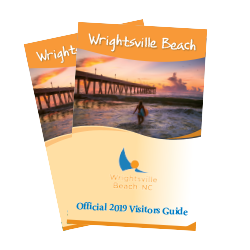 The Wilmington and Beaches Convention and Visitors Bureau (CVB) services staff will help you find the perfect meeting location and service providers throughout Wrightsville Beach for everything from meeting, eating, and sleeping to plugging in, working out and logging on. Provide information for planning spouse programs, children&apos;s activities and tours. Step-on guides are available for a fee. Complimentary Visitors Guides, Guide and Attraction Maps, and complimentary bags for registration are available for your convention or event attendees based on hotel room usage. Additional quantities are available for a nominal fee. Complimentary registration and visitor information assistance is available. The CVB will supply, free of charge, one registrar for four consecutive hours based on a minimum of 50 room nights. Thereafter, there will be a charge per hour per person.